Below you fill find all funeral homes and cemeteries in or near Adrian. Adrian is also known as: Nobles County / Adrian city. Their current mayor is Mayor Robert Wiese. Zip codes in the city: 56110. Some of the notable people born here have been: (lloyd voss), and (cedric adams). It was revealed by The Mail Tribune on October 19th, 2018 that Allen William Forrette perished in Oregon. Forrette was 84 years old and was born in Adrian, MN. Send flowers to express your sorrow and honor Allen William's life. It was noted by Baker City Herald on August 24th, 2018 that Irene "INMAN Irene" Carlile (Yackley) perished in Baker City, Oregon. Ms. Carlile was 80 years old and was born in Adrian, MN. Send flowers to express your sympathy and honor Irene "INMAN Irene"'s life. It was revealed by Register Guard on June 24th, 2018 that Bruce Joseph Honermann passed away in Eugene, Oregon. Honermann was 61 years old and was born in Adrian, MN. Send flowers to express your sympathy and honor Bruce Joseph's life. It was noted by The Daily News on January 24th, 2016 that Clarence John "CJ" Kleppe passed on in Washington. Kleppe was 91 years old and was born in Adrian, MN. Send flowers to express your sympathy and honor Clarence John "CJ"'s life. It was disclosed by San Diego Union-Tribune on June 2nd, 2015 that June Pauline Meheula passed on in Sacramento, California. 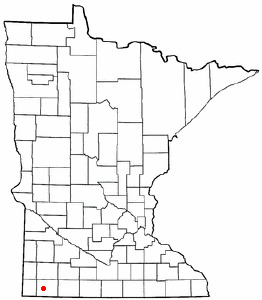 Meheula was 97 years old and was born in Adrian, MN. Send flowers to share your condolences and honor June Pauline's life. It was revealed by Hutchinson News on July 30th, 2014 that Michael Ray "Jim" Nelson passed away in Hutchinson, Kansas. Nelson was 33 years old and was born in Adrian, MN. Send flowers to express your sorrow and honor Michael Ray "Jim"'s life. It was noted on May 6th, 2014 that Marcellyn Jane Holtorf (Mulder) perished in Linn, Kansas. Ms. Holtorf was 62 years old and was born in Adrian, MN. Send flowers to express your sympathy and honor Marcellyn Jane's life. It was noted by West Central Tribune on March 29th, 2014 that Mildred Esther Jordin (Arnesen) passed away in Adrian, Minnesota. Ms. Jordin was 84 years old. Send flowers to share your condolences and honor Mildred Esther's life. It was disclosed by West Central Tribune on March 25th, 2014 that Carl E Nelson passed on in Adrian, Minnesota. Nelson was 51 years old. Send flowers to express your sorrow and honor Carl E's life. It was noted on October 25th, 2013 that Larry Gene Boomgaarden died in Fredericksburg, Texas. Boomgaarden was 71 years old and was born in Adrian, MN. Send flowers to express your sorrow and honor Larry Gene's life. The population was 1,234 at the 2000 census. Chosen as a town site by the St. Adrian, the celebrated warrior and Catholic bishop whose name was adopted by the local parish. The first floor of A.M. O.D. Adrian together with an article now adorns the wall of her namesake's City Hall. We work with local florists and flower shops to offer same day delivery. You will find budget sympathy flowers in Adrian here. Our funeral flowers are cheap in price but not in value.